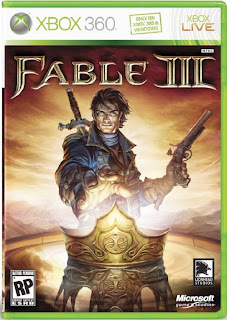 The Bloody Stump: Fable III Box Art Revealed? 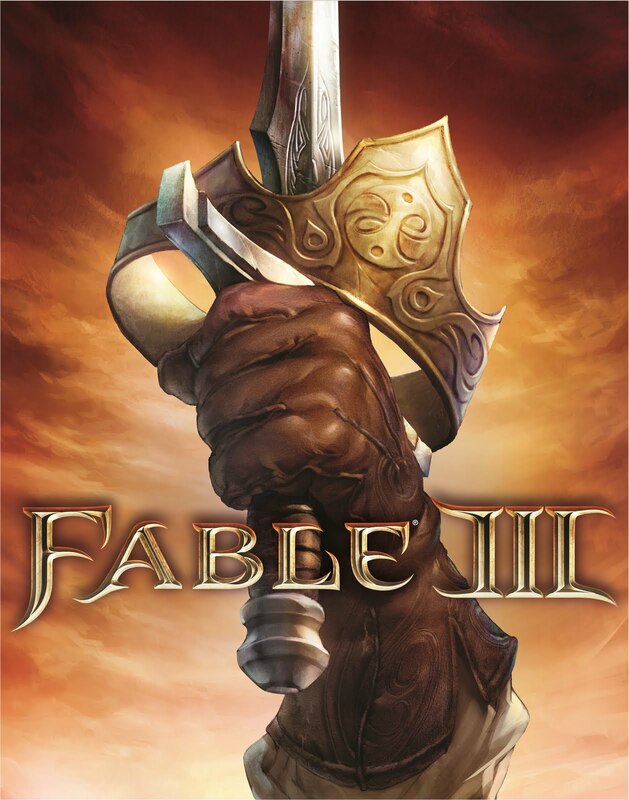 In an effort to get this out quickly, found these pretty neat bits of artwork concerning the Fable III box art. Not only can we see that it highlights that Fable III will be available on not only Xbox 360 but also PC, it shows the hero and the crown that everyone is after. 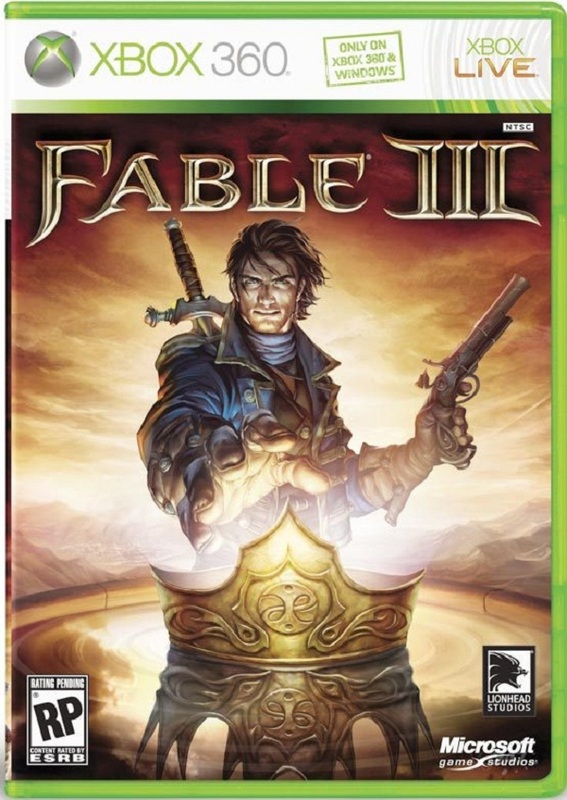 This makes a good departure from the 'Two sides' of the coin that featured on both the Fable and Fable II box, this is a good change. 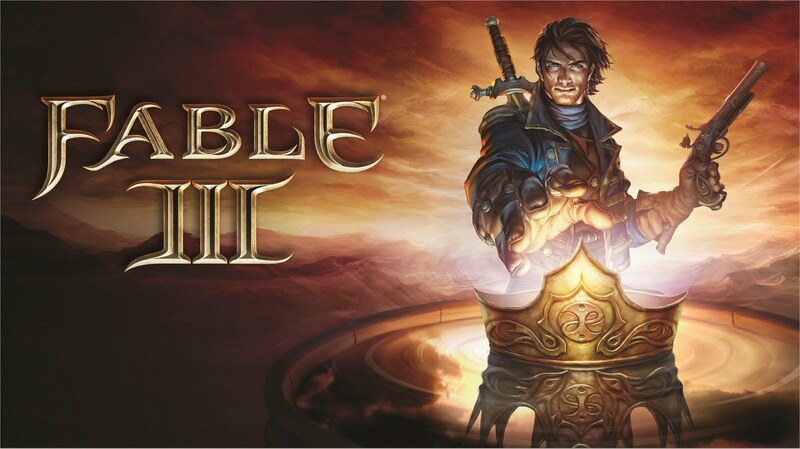 As well as the above, found this lovely piece of artwork which appears to be the entire piece of concept art. Again, looking rather lovely. And then finally we have this rather interesting piece, showing a close up of the crown and the sword taking it from below, a violent overthrowing of Logan is inevitable. When we know more will let you guys know.